The recently released World Energy Outlook (WEO) 2015 hints that India is moving to the center stage of global energy system. Considering that the IEA has devoted an entire section of the WEO 2015 to India which carries a detailed assessment on India’s current energy scenario, the outlook for its future demand and supply and a discussion on the implications for India’s energy development, India’s growing importance on the world energy scene is apparent. The New Policies Scenario presented in WEO 2015 forecasts that the energy demand in the world will grow by nearly one-third between 2013 and 2040. While the growth in Chinese energy demand is slowing and the demand from OECD countries reduces by 3%, the net growth comes from developing countries, led by India. It is projected that India’s total primary energy demand will grow by more than 1000 million tones oil equivalent (mtoe) from 2014 to 2040 to reach 1900 mtoe, which will be larger than the growth in any of the regions including China, Africa, South East Asia, Middle East and Latin America. Although renewable energy is projected to add to more than 25% of the electricity generation, a large part of the growth in energy demand is likely to be met by oil, coal, and gas. India’s demand for oil will grow by 6 million barrels per day (mbpd) surpassing China’s growth in demand of oil (4.9 mbpd) to reach around 9.8 mb/d in 2040 during the period. While 40% of the current demand of 3.8 mbpd of oil is contributed by the transport sector, it is expected to grow to approximately 65% by 2040 due to the large increase in the number of road vehicles which contribute close to 90% of energy use in the transport sector. Other sectors such as buildings and agriculture are likely to contribute to approximately 12% and 8% of the oil demand respectively in 2040. The industrial sector is expected to contribute to nearly 12% of the oil demand which includes a very small share (2.4%) towards electricity generation. India is expected to become the second largest oil importer around 2035, overtaking the U.S. which itself ceded the top spot to China early this year. A similar story unfolds for coal and India’s coal consumption is likely to reach 1,300 mtoe in 2040, with the largest growth in demand (around 750 mtoe) in the world. Although China will lead the demand in growth for natural gas, India’s demand is likely to increase by 100 mtoe during the period. Solar PV is estimated to add to 250 TWh of energy during the period which is slightly lower than the figures estimated for China. 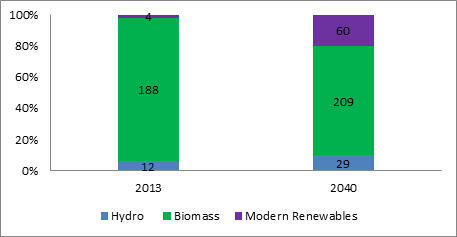 The share of primary energy for India for 2013 and that projected for 2040 is shown in Fig. 1 (a) and (b). 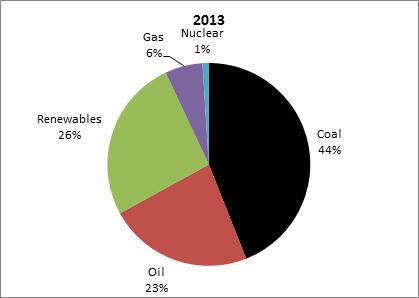 The share of fossil fuels in India’s energy supply is expected to increase from 73% in 2013 to approximately 80% by 2040. While the share of oil, gas, coal and nuclear increases marginally, the share of renewable energy actually falls due to the replacement of traditional forms of biomass with LPG in households. This reverse transition from renewable to fossil fuel based energy sources has led to the emergence of LPG as the second most used petroleum product after diesel pushing gasoline to the third place in 2014. This fuel transition is a regressive step and should be a cause of concern for India’s security of energy supply. Fig. 2 shows the share of renewable energy from various sources in 2013 and that estimated for 2040 using the NPS (absolute quantities shown in mtoe). As seen, the share of biomass decreases from nearly 92% to approximately 70% in the total renewable energy mix in 2040. The share of installed power generation capacity increases from 27% to 43% for modern renewable energy (wind, solar PV and others) and decreases from 71% to 53% for fossil fuels (coal, oil, gas) from 2014 to 2040. 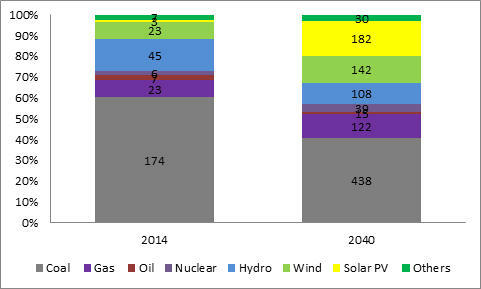 However, in absolute numbers the installed capacity is projected to increase substantially for each energy source – for example, installed capacity for coal based power generation is expected to grow from 174 mtoe in 2014 to 438 mtoe in 2040, and that of natural gas from 23 mtoe to 122 mtoe. Renewable energy is likely to grow substantially due to the adoption of the ambitious target of installation of 175 GW of power generation capacity (excluding hydropower) by 2022 of which 100 GW would be contributed by solar PV. This is likely to push the average cost of generation of electricity marginally higher from US $65/MWh (in 2014) to US $70/MWh (in 2040) due to the higher cost of solar PV and wind power as compared to coal. In the NPS, the levelised cost of electricity which was considered for 2015 from wind was around US $90 and that for solar PV was US $145 per MWh. This is forecast to converge to US $80 by 2040. 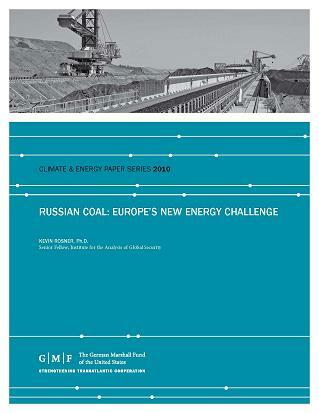 Although reports indicate that the cost of solar PV has already met grid parity for large solar plants, the levelised cost of electricity from older coal plants would ensure that coal retains its cost competitiveness over other forms of energy. Further, due to the intermittency of wind and solar power, which have an observed (for India) cumulative utilization factor (c.u.f) in the range of 18-24% and 18-31% respectively, the dependence on coal for supplying base load is likely to continue. The drastic increase in energy demand coupled with weak trends in the growth rate of domestic energy production will lead to an increase in India’s import dependency. 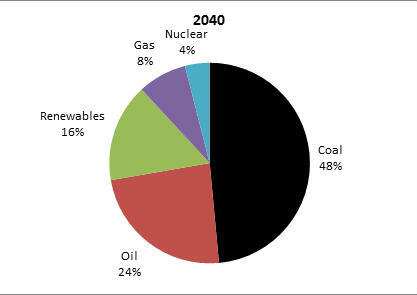 India Energy Security Scenarios-2047(IESS-2047), forecasts an increase in India’s import dependence for coal, oil and gas. The forecasted ranges of import dependency for fossil fuels using four inbuilt scenarios (pre-calculated by the model) for 2027 and 2047 are shown in Table 1. The report by CPR which compares results from different modeling studies (albeit to a closer time horizon of 2032) also concludes that there will be a similar rise in fossil fuel import dependence for India. Therefore it is evident that energy imports will become increasingly important in the coming years and unless steps are taken now, could jeopardize India’s energy supply security and consequently pose a risk to economic growth and development. Ensuring physical availability of energy and unfettered energy flow is paramount for India’s economic growth. In the light of the recent push to the manufacturing sector and the focus on ‘Make in India’, India needs to ensure adequate availability of energy. Growing import dependency requires that there should be sufficient infrastructure in place for energy imports and domestic distribution of energy. 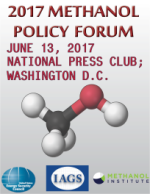 This includes ramping up of port capacity and rail infrastructure for transportation of coal; domestic pipelines for delivery of natural gas, crude oil and oil products; cross country pipelines for sourcing natural gas from gas fields, LNG terminals for regasification of natural gas and storage capacity for crude and LNG. The second aspect is the cost of energy imports. As commodity prices adjust downward to accommodate the slowdown in world economic growth, the World Economic Outlook released in October 2015 by the IMF predicts that this period of low commodity prices is likely to continue. Thus countries such as India which are net importers of energy and are in the midst of a growth cycle are uniquely placed to benefit from the relatively lower energy prices. The price of crude oil has dropped close to US $40 and based on the futures prices, the average petroleum spot price is expected to stay between US $50-55 per barrel till 2017. Though the uncertainty is higher for the longer term, IMF predicts that the price is expected to be close to US $60 a barrel in 2019 (moves within the range of US $40-80 per barrel with 68% confidence interval in the period 2015-2019). This drop in prices is attributed to a slowdown in energy demand from China, availability of shale gas in the U.S., overproduction from OPEC members and in anticipation of easing of sanctions on Iran. Similarly the price of high grade Australian coal fell by almost 40% between September 2012 and September 2015 and the price of natural gas has also plummeted to one of its lowest historical value to nearly US $2/mmBTU. This gives a window of opportunity for India to further cut down its fiscal subsidies on fossil fuels which amounted to US $23.4 billion in 2013-14 and are directly provided by the central government. Apart from this, under-recoveries (the difference between the cost price and the sale price) by Oil Marketing Companies (OMCs) on kerosene and LPG in FY 2014-15 amounted to US $13.1 billion. These are partly compensated for by additional cash assistance from the government and by the upstream nationally owned oil companies, while the remaining portion goes uncompensated to the OMCs. In 2013, approximately 21% of India’s population did not have access to grid electricity while approximately 33% did not have access to clean sources for cooking. It is therefore important that large scale investments are made in building electricity distribution infrastructure to provide access to electricity and clean energy for cooking for achieving the goal of ‘Sustainable Energy for All’ by 2030. The last aspect is to lower the demand of energy by giving a push to energy efficiency and energy conservation. As per final energy balances for India, approximately 40% of energy is lost in conversion from primary to final energy and in the energy distribution chain. Although India’s overall energy intensity is expected to drop from 0.11 tonnes of oil equivalent (toe) per $1,000 of gross domestic product (GDP) in 2013 to 0.05 toe per $1,000 of GDP in 2040, this would be attributable to structural changes in the Indian economy. Hence it is important that efforts are focused to improve the physical energy intensity in various sectors by changes in processes and technology. Restructuring the state electricity boards for increasing the productivity and to increase conversion efficiency in electricity generation plants and distribution of electricity also needs to be undertaken. 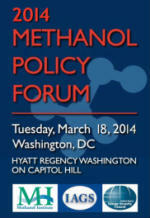 This would yield long term benefits in terms of resource efficiency and cost savings. 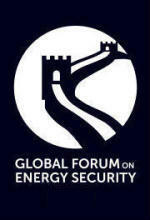 Energy security is a component of national security. It was, is and will continue to remain a prime concern of countries. Based on current trends India is on track to become a global energy player and will drive the world energy demand in the next couple of decades. The increase in the supply-demand gap is inevitable and will lead to an increase in import dependency for fossil fuels for India and strengthening of energy import infrastructure is essential to ensure availability of energy. The fall in commodity prices presents a unique window of opportunity to India to shore up its energy security. While some steps have already been taken in this direction, it is important that India increases the intensity of its efforts so as to meet time bound targets which would reap significant benefits in the long run. New Policies Scenario serves as the IEA baseline scenario and takes into account current and forthcoming policies announced by countries. IESS 2047 is an energy scenario building tool, which explores a range of potential future energy scenarios for India leading up to 2047. These are the ‘Least Effort’, the ‘Determined Effort’, the ‘Aggressive Effort’ and the 'Heroic Effort' scenarios having different assumptions.